During the late 1990’s metalcore rose to popularity with it’s raw power and killer breakdowns becoming a leader in all forms of metal. Around 1998 a metalcore scene emerged in Massachusetts including powerhouses such as Killswitch Engage, Shadows Fall, and Unearth. Amongst the New England metalcore insurgence was All That Remains. 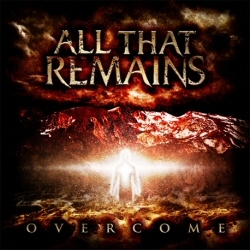 Since their debut Behind Silence and Solitude (2002), each album thereafter has seen the band grow into a well-rounded metal band. When the single “Two Weeks” hit the radio in 2008 it was a whirl-wind, sending the band’s success to new heights while breaking them into the mainstream. 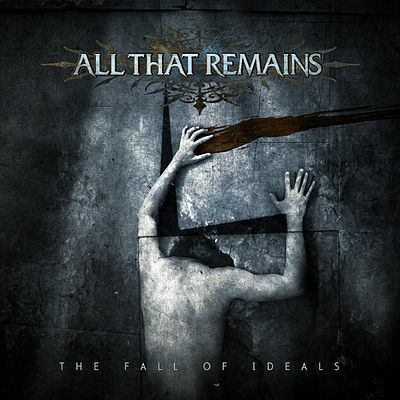 Now ranked in high class with modern American metal bands All That Remains marches on with extensive touring and their successful 2012 album A War You Can Not Win. Recently we caught up with rhythm guitarist Mike Martin for a look into the makings of success, life on the road, and much more. CrypticRock.com – All That Remains has been together for 15 years now. 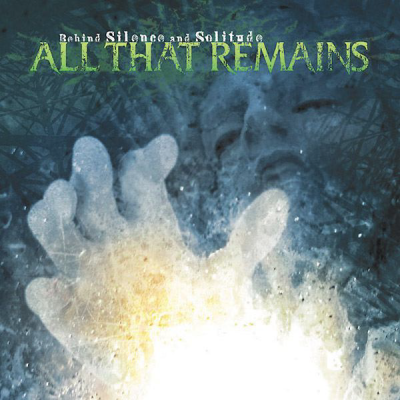 A lot has happened since the debut album Behind Silence And Solitude (2002). The band has been on numerous tours and released 6 studio albums over the years. How do you and the band feel about where All That Remains is all these years later? Mike Martin – We feel lucky (laughs). The music industry is not the most stable thing in the world, to be a band for 15 years already and have 6 records out is already an accomplishment in itself. 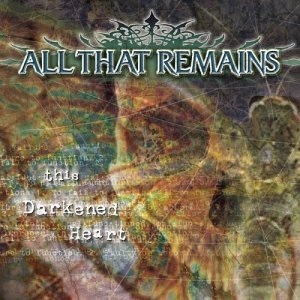 CrypticRock.com –Now you joined the band in 2002 and played on This Darkened Heart (2004). How did joining All That Remains happen and what was it like working on that record for the first time with the band? 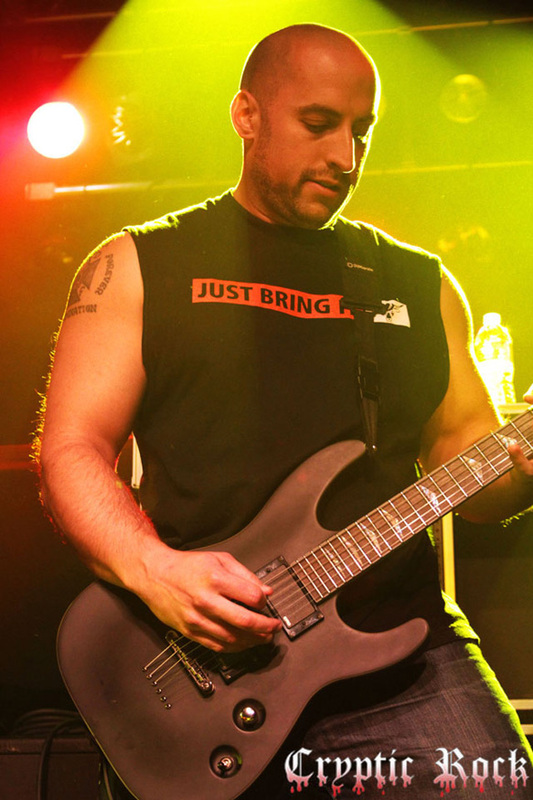 Mike Martin – It was a lot of fun because it was the first time we worked with Adam from Killswitch Engage. That was a huge learning experience for us for song writing in general, getting more to the point with the songs, arranging things, having things make sense, and more of a verse/chorus thing that we weren’t really accustomed to at the time. We were so immature back in the day, all we wanted was to write 9 minute songs that were flashy and impressive that made no sense. Recording that record was not only fun just to do it because Adam is a friend, but it was also a great learning experience that we would take with us for the rest of our career. 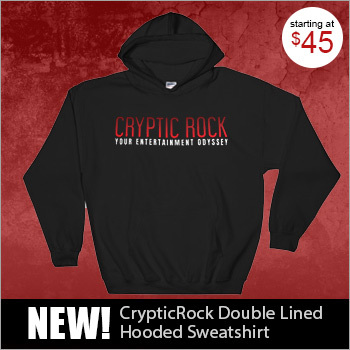 CrypticRock.com – Obviously, over time the band has progressed in sound and style, and due to all the hard work is one of the most recognized bands in American metal. What do you think ignited the band to alter their sound? Mike Martin – It’s just always what we wanted to do and it has just been a gradual thing. We have always wanted to have a lot of different kinds of metal songs. It kind of just comes with whatever goes on at the time. When we put The Fall Of Ideals out we had just gotten a drummer for the first time that could play metal and double bass. On This Darkened Heart we had a great rock drummer but that record had guitar stuff that was very metal and we wanted metal drumming. When we put The Fall Of Ideals out we had this new drummer who could do anything we wanted, so the whole record was blazing fast, and we just wanted it to be as brutal as possible. Then Phil realized his vocal range was more than he thought so we started doing songs like “Two Weeks”. More of the pop style metal songs that the elitists get really angry at. We’ve always wanted to have a lot of different kind of metal songs whether it was a ballad, fast song, or death metal song. We’ve always been capable of doing every kind of song. We’ve always just done it no matter what the repercussions were because you know you are always going to get backlash. If you are going to write a record that is really heavy, and on the next record you have a ballad, people are going to get pissed. We never really look too much into it, we just wanted to do it, and so we pretty much did it. CrypticRock.com – That is important to do what you want without worry about what the backlash is. You have to do what you want otherwise you are going to be miserable. It seems Overcome (2008) was really the breakout album for the band. Looking back on that record 5 years later what do you think makes that record so special? Mike Martin – “Two Weeks” (laughs). To be perfectly honest what made that record special is “Two Weeks”. We don’t play any songs off that record except for “Two Weeks” and “Forever In Your Hands”. The biggest deal about that record is “Two Weeks” still is the biggest song we have ever had. That was the biggest move for our career; it tacked 10 more years onto our career. We had no idea it was going to do that, it was a complete accident. It got on the radio and stations and people were just flipping out over it. We never had a song last that long on the radio. It was just one of those things that just really worked out in our favor. Every ounce of success off Overcome was because of “Two Weeks”. CrypticRock.com – That is an amazing story and it really did open the band up to a completely new audience. 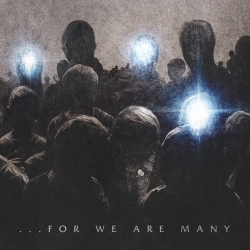 The band has definitely kept up the quality from album to album and For We Are Many (2010) and A War You Cannot Win (2012) are evidence of that. 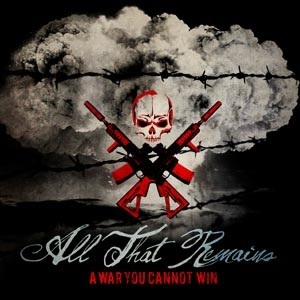 A War You Cannot Win is probably the band’s strongest cohesive piece to date with a mix of heaviness, melody, and song writing. What was the mind set going into that record? Mike Martin – Super simple like it always it. A lot of people think there are big meetings that we have and it is a carefully thought out process. It’s really not; it’s just a snapshot of that time. It’s just 10 or 12 songs that we write that we want on the record at that time. There is no big process of what our next big plan of attack is. We just go in there and the first 10 or 12 songs that we like, those are what goes on the record. That’s all there is to it, there is no big explanation for it. 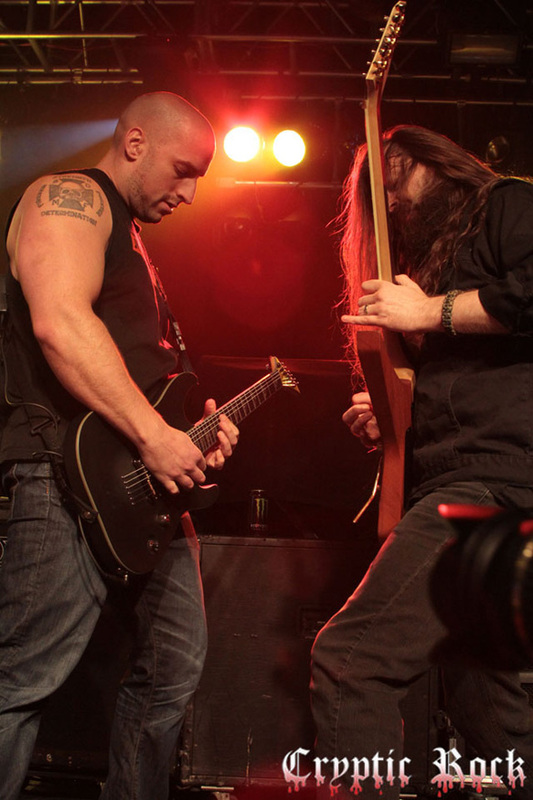 CrypticRock.com – One thing for sure about All That Remains is you keep yourselves extremely busy. In 2013 alone, it appears like you are on tour after tour. 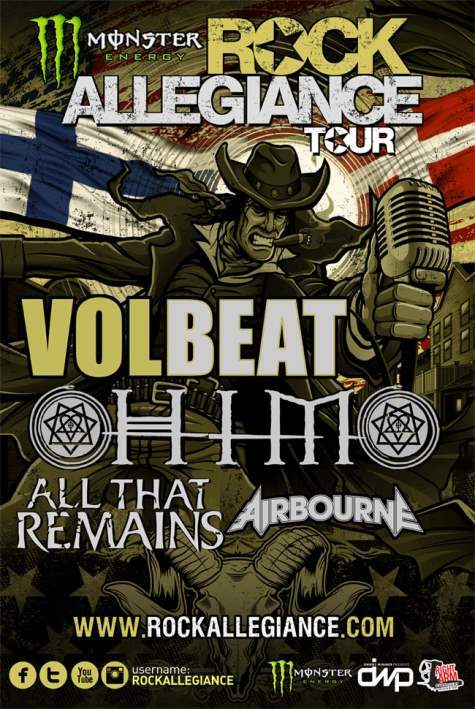 Earlier in the year you toured with Volbeat, then The Rock Allegiance Tour, and then with Asking Alexandria. How difficult is it being on the road so much, and how do you keep yourself healthy physically and mentally? Mike Martin – Physically and mental we just don’t stay healthy (laughs). It’s just not a healthy life style in general, it’s really hard. 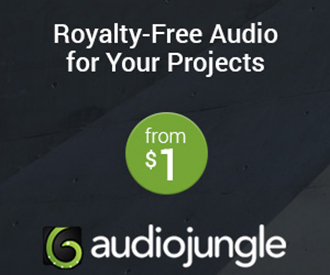 It’s not an option anymore; you don’t make royalties anymore selling records. The music industry is shot, everyone steals everything. There is no way to make money in a band anymore unless you go and play shows all year and sell merchandise. You just put your record out and go play shows all year, there is no other way to do it. We are not Taylor Swift or John Mayer, we can’t go out and do one US tour and be like ok that is good, we can’t do that. You get really accustomed to it basically. You do your best to mentally stay be where you need to be and physically not kill yourself (laughs). You just get on the road and do it, and realize how fortunate we are to be able to do it. 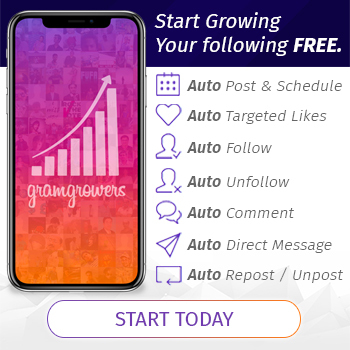 CrypticRock.com – It is a different type of lifestyle. The touring concluded in 2013 with Motionless In White and Soil, how did that tour go? Mike Martin – The tour went way better than expected. We did so many shows in 2013 because of radius clauses, a lot of times in areas you play more than once a year you can’t announce it. So we didn’t have a lot of time to promote these shows, it was a bummer. Between us, Motionless In White, and Soil every show was great. We had great shows on Mondays and Wednesdays, it was really good. I’d imagine if we took that tour package and promoted for two or three months it would be even better than it already was. CrypticRock.com – Yes it was a great mix of bands and all good bands. With that tour you had the chance to play a fuller set. How did it feel to play a nice long set like that? Mike Martin – That was cool. We hadn’t done that in a while. We got to even play some songs, even if they aren’t hits, to keep people in the band happy. CrypticRock.com – What are some of your musical influences? Mike Martin – All 80’s hair bands was the reason I started playing music. Guns N Roses, Skid Row, and Poison were all the bands that got me into music. I loved watching them on MTV when I was 10 years old, made me want to be in a band. As time progressed, Metallica and Pantera, which every metal band is influenced by. Then it turned into the local scene where I lived with all these bands coming out like Killswitch Engage and Shadows Fall. We grew up all together playing local shows, which ended up being a big influence too. CrypticRock.com – That was quite a scene between All That Remains, Killswitch Engage, and Shadows Fall. The metalcore scene really took off with bands like yourself and those. Mike Martin – Yea that was a really big wave. I don’t think a lot of people in our area realized how special it was. It was a really big thing. CrypticRock.com – A decade later you can see it. My last question for you is regarding films. Crypticrock.com is a rock/metal and horror news site so we like to focus on all genres. 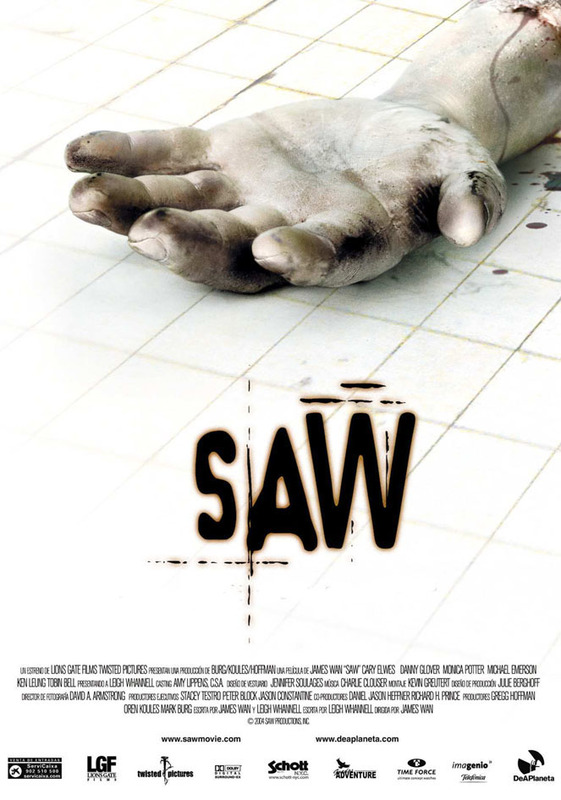 Are you a fan of horror films and if so what are some of your favorite horror films? Mike Martin – I am not actually. I am like the worst person to ask that. Everybody in the band besides me loves horror movies (laughs). 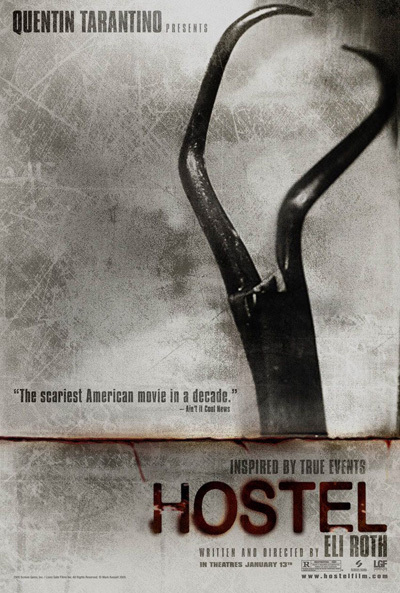 I enjoyed the Saw movies, I enjoyed Hostel (2005). As far as being a horror buff and knowing what I am talking about, I have absolutely no idea. CrypticRock.com – That is ok, it’s not for everyone. Do you have a particular film you enjoy? Mike Martin – Oh yea, I love stupid comedies. Step Brothers (2008), anything with Will Farrell. Anything with mindless comedy is just my favorite (laughs). Check out All That Remains at www.allthatremainsonline.com, facebook, & twitter.